Gain the edge with a Tel Technologies system. ATD can create a solution for you with Tel Electronics. TEL's hospitality call accounting systems allow properties to track phone calls, bill guests for phone usage, reduce Telecommunication costs, and increase guest satisfaction. 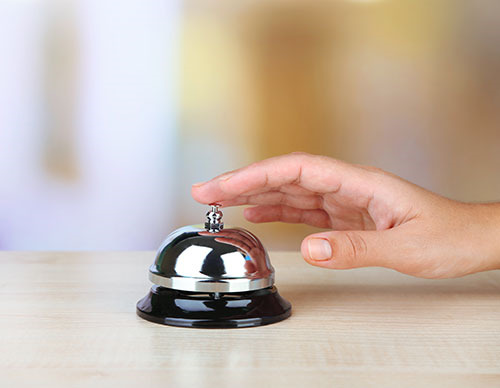 With almost 30 years of experience, TEL Electronics understands the hospitality industry better than any other call accounting company and delivers a reliable, low-cost solution for all of your call accounting needs. The INN-FORM XL hotel call accounting system has been synonymous with the hospitality industry for more than 25 years. With over 20,000 system installations in the United States, Canada, and the Caribbean Islands, the INN-FORM XL is the most popular call accounting system available today. The INN-FORM XL can store up to 1,800 call records as a standalone call accounting system or can be interfaced to virtually all property management systems to store an infinite number of records. The INN-FORM PLUS hotel call accounting system is the "Big Brother" to the INN-FORM XL and is designed to interface to most Property Management Systems (PMS) as well as store up to 60,000 calls in its own memory for PMS backup and customized reporting. The INN-FORM Plus allows managers to allocate telecom expenses by specific cost centers, such as restaurants or gift shops. It interfaces to all major hotel PBX systems and comes with a two-year manufacturer’s warranty.